The whirlwind of basketball games that is March Madness presents a huge opportunity for marketers to expand their cross-channel customer engagement. 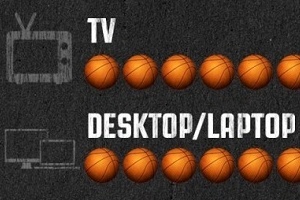 Check out these stats from last March Madness for tips on scoring big this this year. Last year, a whopping 11.3M average total people viewed the games; it was the highest average viewership in 22 years, according to the following Koeppel Directinfographic. Moreover, there were 17.8M hours of live video streams, and 3509M total social impressions across Facebook and Twitter. Digital ad spending by device last year was $30.4B for smartphones and tablets, and $27.6B for desktops and laptops. To find out more about marketing, advertising, and cross-device viewership, check out the infographic.